On November 20, Medserv plc issued a surprising announcement informing the market that it was awarded a new substantial contract in South America. The major surprising factor was that in previous announcements and meetings with financial analysts, Medserv had never indicated that it was tendering for works in South America but was rather focusing on its current business pipeline and seeking additional contracts in Africa and the Middle East. Another surprising element was the size of the contract at $30.6 million (equivalent to circa €26.8 million) for a period of only 15 months from January 1, 2019 to March 31, 2020. On reading the announcement, I must admit that I had to resort to Google maps to find the location of Suriname. Medserv stated in its announcement that it would be providing integrated logistics support services (ILSS) to support the nearshore drilling campaign of Staatsolie Maatschappij Suriname N.V (Staatsolie), the national oil company of the Republic of Suriname. Medserv will be assisting Staatsolie with the exploration activities together with the shore base business partner Kuldipsingh Port Facility N. V. and the marine services provider Trinity Lift Boat Services Ltd.
An important explanation within Medserv’s announcement is that the “contract relates to an emerging region adjacent to the recent ExxonMobil discoveries in offshore Guyana, potentially providing further opportunities in the region for the Group”. In fact, on performing further research it transpires that major oil discoveries in offshore Guyana in recent years have led to increased international investment in the Guyana-Suriname Basin. According to a US Geological Survey, the Guyana-Suriname Basin has an estimated resource potential of more than 13 billion barrels of oil and 32 trillion cubic feet of natural gas and is therefore considered to be one of the world’s top unexplored basins. The US oil major ExxonMobil has so far succeeded in 10 discoveries since the sizeable Liza discovery announced in May 2015. The latest successful find by ExxonMobil was announced last week at the Pluma well. Guyana is expected to commence production from its Liza discovery in 2020 which could initially generate 120,000 barrels per day rising to more than 400,000 by the mid-2020s. Following the impressive string of discoveries offshore Guyana by ExxonMobil and their partners, several other oil and gas companies are carrying out drilling plans offshore neighbouring Suriname. The State-owned oil company, Staatsolie, holds sole rights to exploit fossil fuels in Suriname and to increase capacity, Staatsolie enters into production and exploration partnership agreements with foreign companies. Some reports found online indicated that Staatsolie has identified and ranked 15 prospects and has immediate plans to drill a 10-well exploratory campaign from April 2019 to December 2019 which is very probably the one in which Medserv is involved. Although a number of companies that have drilled offshore Suriname in the past have been unable to find oil, in an interview with the CEO of Suriname’s national oil company Staatolie he expressed his confidence that a discovery will eventually be made and as such he is preparing the company for a big offshore oil find. 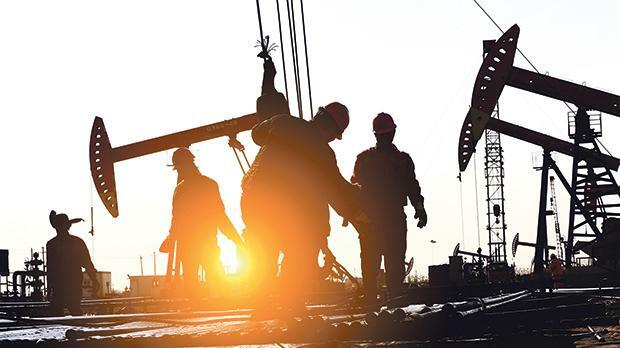 In the recent interview with a leading oil and gas publication, the CEO argued that dry wells had been drilled even in Saudi Arabia and the North Sea before commercial discoveries were made. Another important revelation within the Medserv announcement on November 20 was that “it is expected that this contract will be serviced through the Group’s internal resources and will not require any major capital expenditure”. This is important for the company’s shareholders following the weak financial performance of Medserv in recent years. Medserv is one of the few companies among the equity issuers that still published a semi-annual interim directors statement. Medserv published a detailed announcement on November 27 updating the market on its current performance and business development opportunities. Medserv explained that it secured long-term contracts with significant business activity across all its operating segments, namely Integrated Logistic Support Services (ILSS) and Oil Country Tubular Goods (OCTG). More importantly, Medserv claimed that it is also well positioned to secure new contracts and noted that some of these are expected to materialise in the first half of 2019. These are mainly in the OCTG segment and Medserv reported that it is awaiting the adjudication of a tender for the provision of premium threading services in Uganda. Medserv seem to be very confident at a successful outcome since it claimed that this “would provide the Group with another long-term contract with consistent revenues”. The company had also mentioned this in the half-year financial report published on August 27, 2018 when it claimed that it “is in advanced stages to secure a long-term contract in Uganda for the provision of premium threading services with consistent and dependable revenues”. In the interim directors statement of November 27, Medserv also stated that it was awaiting the adjudication of additional supply chain management contracts in the Middle East in 2019. Medserv explained that in the event of another successful outcome, the volumes would be equivalent to those currently being managed by METS in Oman. In February 2017, Medserv had announced that it was awarded its largest contract ever when Sumitomo signed a contract with METS in Oman for an initial period of five years with a five-year extension option. The new SCM contract in Oman became operational towards the end of Q2 2018 and Medserv reported in the half-year financial report on August 27, 2018 that volumes of work in terms of amount of tonnage handled is expected to increase by 15 per cent in the second half of 2018. With respect to the new contract in Suriname, Medserv additionally reported on November 27 that it is forecasting healthy profit margins from this shore base project. This is an important revelation following the decline in margins in 2017 which picked up again in the first half of 2018. In the interim directors statement on November 27, Medserv also reiterated its financial guidance for the current financial year of an EBITDA of €6.8 million. Meanwhile in the half-year financial report on August 27, Medserv had said that it expects to report a significant improvement in operating profits in 2019 which “will enable the Group to continue to grow organically, in line with its strategy towards achieving further diversification and creating long-term value to shareholders”. Edison Investment Research of the UK has been producing research reports and financial forecasts for Medserv for several years and earlier this year it had estimated an EBITDA of €10.5 million for 2019. Edison recently issued two short updates following the recent announcements and while it did not alter its 2019 projections despite the new major contract in South America, it surprising opined that the “financial performance in FY18 will support a dividend”. With an evident improvement in business activity compared to the weak performance in the past two years which may increase should further contract awards materialise, Medserv’s shareholders hope that this will reflect positively in the other major development taking place. Earlier this year, it was announced that Medserv’s two major shareholders Malampaya Investments Limited (beneficially owned by Anthony J. Duncan) and Anthony S. Diacono who together hold 65.5 per cent of the issued share capital, had initiated a process to source a strategic purchaser to acquire their shareholding. Following the disappointing financial as well as share price performance in recent years, Medserv shareholders await further details on any interest being shown by strategic investors as well as on any progress with respect to current business activity and other possible new contracts.